If it’s good enough for Kate, it’s good enough for us! 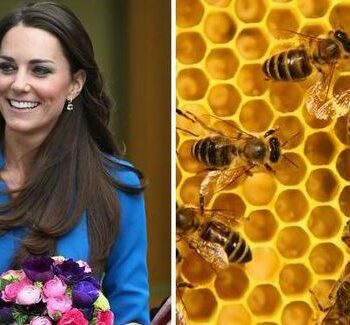 With the New Year already in full force, everyone is looking for the next best thing within the cosmetics industry and with the Duchess of Cambridge being an avid user, we thought it was time to shout about this bizarre-sounding active ingredient, Bee Venom, within the latest anti-ageing skincare treatments. Mitnoia are proud to announce the newly launched Beauté Mediterranea skincare range, offering an exciting bee venom anti-wrinkle lifting cream and a lifting eye contour cream to the UK as a viable alternative solution to anti-ageing skincare. The bee venom also known as apitoxin carries the idea of plumping the skin by fooling it into thinking it has been lightly stung, causing an increase in the blood to the area and stimulating the natural production of collagen and elastin, thus having the lifting power to improve the appearance of our skin. 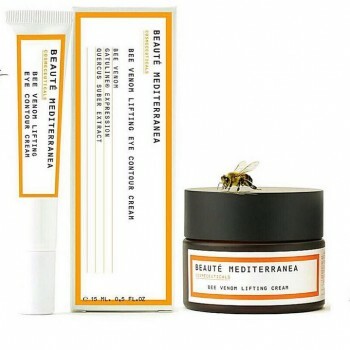 Our Beauté Mediterranea bee venom eye contour cream is formulated with a botanical instant-smoothing tensor agent, rich in suberin that helps to provide a lifting effect around the eyes improving wrinkled appearance and skin roughness. It contains apitoxin (bee venom) and a tropical plant extract (acmella oleracea) which works by myorelaxant mechanisms thus smoothing out expression lines, giving a more youthful appreance. 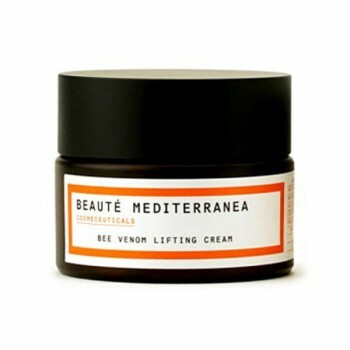 The bee venom anti-wrinkle cream is formulated in much the same way as the eye contour cream using bee venom, with the addition of argan oil and protective shea butter and with a vegetable Botox-like and lifting agent, helping to instantly and notciably improve the skin texture, becoming firmer with visibly less wrinkles and a smoother plumper skin surface. This gives a more youthful appearance and a soft satin feel to your skin. Are you concerned about anti-ageing skincare? We would love to have your feedback on our bee venom range, you can find us on Twitter, Facebook and Instagram.